Toyah Willcox today (27 July) received a companionship from The Liverpool Institute for Performing Arts (LIPA). The companionship acknowledges outstanding achievement and practical contribution to students’ learning. The ceremony took place at Liverpool’s Royal Philharmonic Hall where Paul McCartney presented Toyah and Nile Rogers with their companionships. Award-winning musical pioneer Nile Rodgers was also made a Companion. The guitarist, who had a string of hits with disco outfit Chic, received the accolade from LIPA co-founder Sir Paul McCartney at the institute’s annual graduation ceremony on Friday. 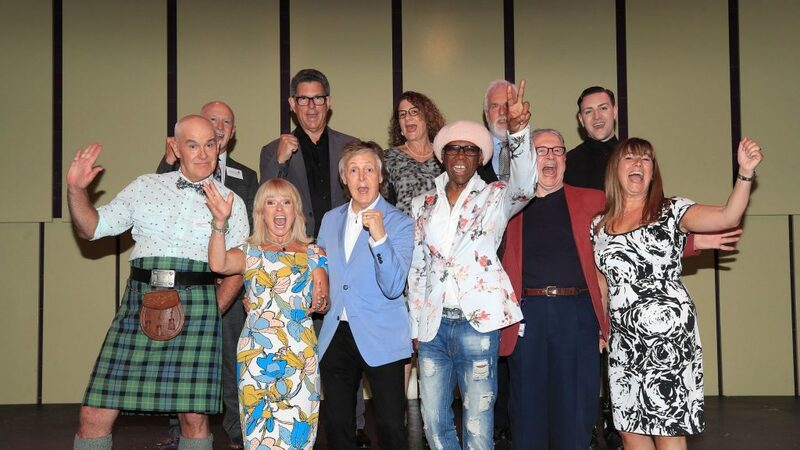 Others honoured as companions were Broadway and West End sound designer John Leonard, former CEO of Sony Music UK and Ireland Paul Burger, community arts practitioner and teacher Ali Campbell, international lighting designer Felice Ross and dancer and choreographer Dean Lee. Chief operating officer of Twickenham Studios, Maria Walker and Professor Nigel Weatherill, vice chancellor and chief executive of Liverpool John Moores University became Honoured Friends of Lipa.